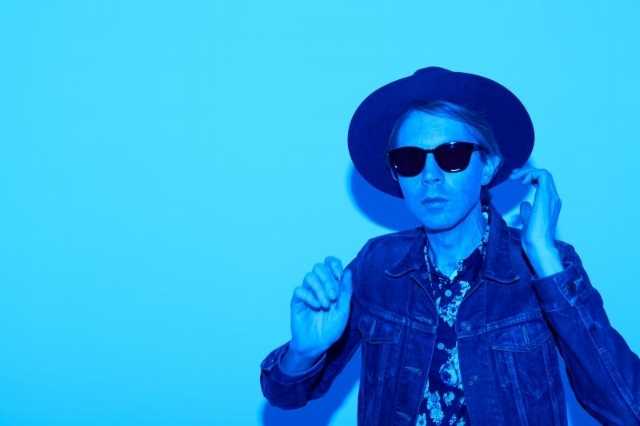 Beck doesn’t often perform in western Massachusetts. In fact, the last time he played a show around here was in May 2003, when he squeezed into the Iron Horse in Northampton for a warm-up gig a couple days before officially kicking off the non-Flaming Lips leg of his “Sea Change” tour in Boston. Beck returned Tuesday, playing to a sizable crowd in Joe’s Field at Mass MoCA in North Adams. He was an active presence onstage, roaming around with the mic and waving his hands in the air when he wasn’t playing guitar, adding to the energy that rolled into the crowd on uptempo tunes including opener “Devil’s Haircut.” The early part of the set was like a revue-style tour through his past few albums: He played “Black Tambourine” and “Que Ónda Guero” from “Guero,” “Think I’m in Love” from “The Information” and “Gamma Ray” and the title track from “Modern Guilt.” He didn’t skimp on older tunes, either, slipping from “Novacane” into “One Foot in the Grave” early on and placing “Loser” right in the middle of the main set, urging the crowd to sing the refrain. “Nice one,” he said afterward.